Brompton Washscape is an innovative start-up company developing an accessible washing machine/dryer for people with impaired mobility and assisted living requirements. 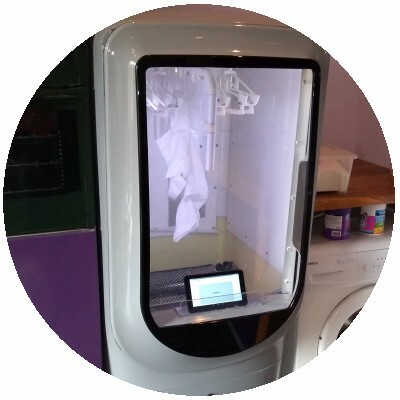 The machine has a large wide-opening door and no moving parts, so clothes can be washed and dried on hangers, and come out free from creases and ready-to-wear. Tritec became involved while Brompton Washscape were aiming to build a functional prototype. We worked with them to discuss their requirements and vision for the project. Their focus was the mechanics and physical design of the machine, but they needed assistance with the electronics hardware it required. We recommended the use of the MikroElectronica PICPLC16 relay control board, which as an off-the-shelf PCB minimised prototyping costs and allowed rapid development. Tritec engineers then took responsibility for the control board hardware and software, which enabled the Brompton Washscape engineers to focus on the mechanical engineering tasks. Tritec also provided workshop space and assistance for the initial research and development activities. Tritec developed the embedded software needed to operate the machine. Our focus on high quality software proved beneficial, as software changes could be made easily as the machines design was modified throughout the project following research, testing and user trials. A later stage of development saw Tritec develop an Android tablet application for running machine cycles. This featured large, clear controls for ease of operation, and communicated with the control board via Bluetooth.